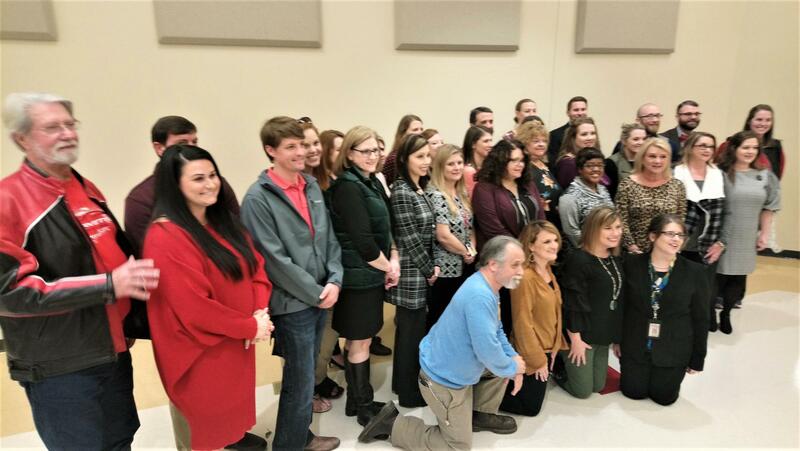 EDUCATORS GRANTS - 29 teachers from Bossier Parish pose after receiving a total of $50,000 in grants from the Sydney Biedenharn Educators Endowment on Dec. 17, 2018. SUPPORTING EDUCATION - The Biedenharn family of Shreveport owned and operated the local Coca-Cola bottling plant decades and the family established the philanthropic Biedenharn Foundation to support wildlife preservation and education. Yesterday the family’s organization awarded some money to local teachers. 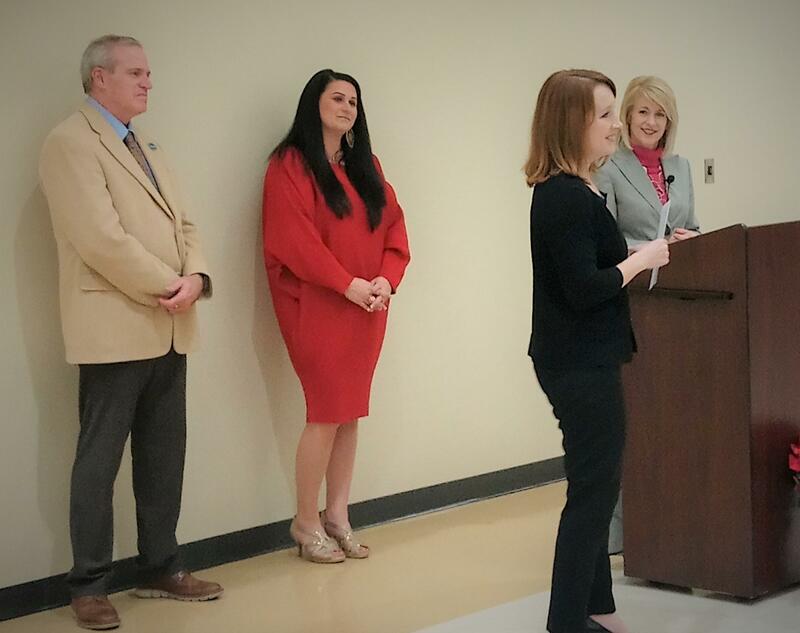 Yesterday 29 teachers from the Bossier Parish School System were awarded a total of $50,000 in grants to fund education projects they created to further reach and engage students in the classroom. For the fifth year in a row, the Biedenharn Foundation, awarded the grants. It all took place yesterday afternoon at the Bossier Parish School for Technology and Innovative Learning. Superintendent Scott Smith says school systems not only welcome such philanthropy, they need it to accomplish educational goals. 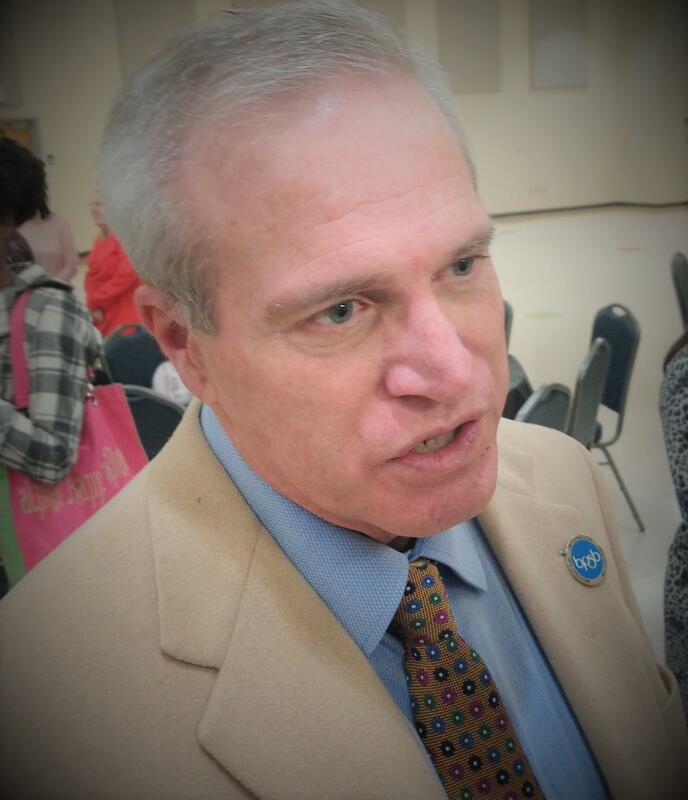 "We're always at a shortage of taxpayer dollars,"explained Smith. "So when someone steps forward that has that type of funding and can help education, it helps kids. It's all about the kids." 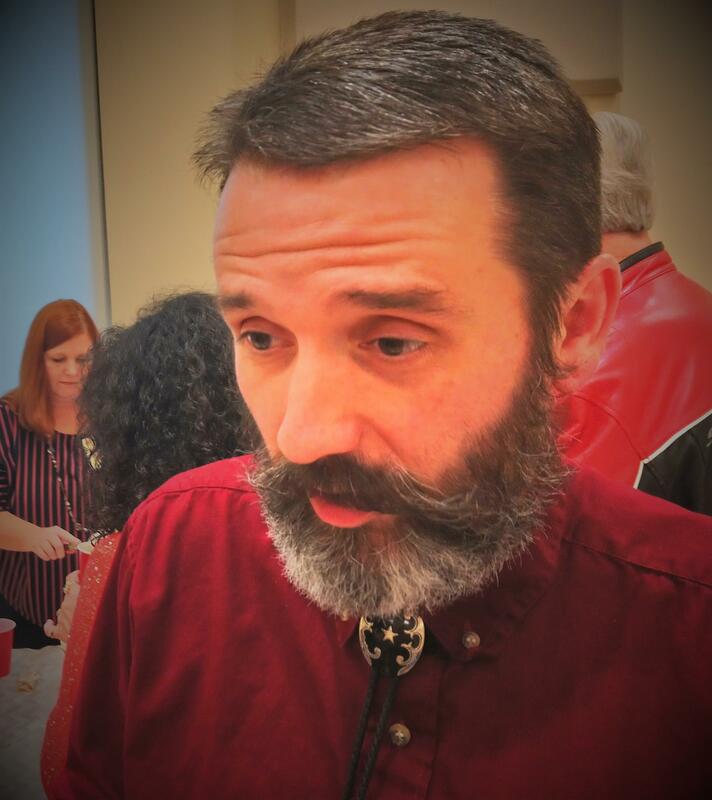 Beauchamp Powers teaches American History at Haughton Middle School. He explains his grant money will go a long way in creating a more immersive learning experience for students. "My project is able to purchase some iPods, these iPods will go along with my greenscreen technology and my virtual reality goggles for virtual presentations and augmented presentations," explained Powers. "Put them (students) in that situation and they're going to remember it for a lifetime." The grants were presented in memory of Sydney Biedenharn, a Bossier Parish resident whose family was the first to own and operate the Coca-Cola Bottling operation in Shreveport. Biedenharn was a high school teacher for many years before joining her family’s business. She passed away in 2012. Her daughter Reina Walker Bailey presented checks to the teachers. "My mother was a teacher until she died. Even when we were kids, she was always teaching us, it never stopped our whole lives." said Reina. "It would mean a lot to her seeing how the money is being used with the kids." The teacher’s projects funded by the grants will focus mostly on acquiring technology to enhancing science, technology, history, and math curriculum.. The Sidney Biedenharn Educators Endowment has awarded 77 classroom grants over the last five years, totaling $155,000. Scott Smith- Superintendent, Reina Walker Bailey, unidentified teacher, Sonja Bailes during Sydney Biedenharn Educators Endowment presentation at Bossier School for Technology and Innovative Learning on Dec. 17, 2018.